In this post, I laid out the latest attempt from one-time Trump and current Aras Agalarov lawyer Scott Balber to craft an unincriminating story for the June 9 Trump Tower meeting. In general, Balber has gone to great lengths to provide innocent explanations for digital tracks suggesting the meeting was incriminating, and especially to deny that Agalarov — who orchestrated the meeting — had any direction from Putin. In this post, I’m going to look at what Natalia Veselnitskaya (who, as I’ve noted, met with Balber sometime before October, which is where the documents she admits to first got introduced to the public) wrote in her statement to Chuck Grassley back in November, because she makes some really interesting dodges. To start with, Veselnitskaya defines certain things so as to be able to deny certain relationships. First, she distinguishes between Glenn Simpson and Fusion, admitting to a relationship with the former but not the latter. I did not work with Fusion GPS, I know Glenn R. Simpson, whom since 2014 I have viewed as an individual investigator-analyst, a former investigative journalist with a long record of service and experience gained by a team of lawyers for point tasks that arose in connection with the preparation for trials, interrogations under case 13-civ-06326 the United States of America v. Prevezon Holdings Ltd. et al., initiated by Browder through the US Attorney’s Office with reference to my client. In my perception, it was Glenn R. Simpson who worked on the Prevezon Case, as to in what capacity – either as an individual or as a company – it was of no interest to me. I do not have any documents as to Fusion GPS. Glenn Simpson was hired by lawyers from Baker Hostetler, as well as other people who worked on the case. Some of them I have never even met. I used to receive reports from Glenn Simpson – CC-ed on all the lawyers working on the case. I didn’t work with Fusion GPS. In my study, analysis and documents I partly used the information obtained in December 2014 from Glenn Simpson within the scope of his services on legal research of Browder’s corporate relations, and his links to the United States, to serve a subpoena on him. Importantly, she denies a claim made by Fox to have met with Simpson before and after the June 9 meeting. So, on June 8, in the evening, I arrived in New York. On June 9, I attended the second district court hearing on Browder’s complaint and worked on some other issues. On June 10, I went to Washington to coordinate our position with our key lawyer in Washington. No, there had been no contacts with him on specified dates. Last week Fox News 38 referring to a confidential source reported that I met with Glenn Simpson before and after the meeting with Trump’s son, and that “but hours before the Trump Tower meeting on June 9, 2016, Fusion co-founder and ex-Wall Street Journal reporter Glenn Simpson was with Veselnitskaya in a Manhattan federal courtroom, in a hearing on the DOJ’s claim against Prevezon Holdings, a Cyprus company owned by a Russian businessman Denis Katsyv.” This statement does not reflect the reality. I met Glenn Simpson on the as-needed basis, as well as whenever he came to the office to see the lawyers. The distinction may have the primary function of divorcing her relationship with (and the presence at the meeting of) Rinat Akhmetshin from Fusion and the Christopher Steele dossier. She claims that Akhmetshin’s presence at the meeting was tied to his role in an anti-Magnitsky NGO, with no involvement of Prevezon attorneys Baker Hostetler. If the question is how he was introduced at the meeting on June 9, then as a consultant of the Human Rights Fund for relations with Congress. This seems inconsistent with her reference to his having an NDA with her — who is the NDA with? Most incredibly, Veselnitskaya distinguishes between meeting with Don Jr — a friend of a friend, she explains it as — and the Trump campaign. Meeting on June 9, 2016, was not a “meeting with the Trump campaign”. My understanding is, this was to have been a private meeting with Donald Trump, Jr., – a friend of my good acquaintance’s son on the matter of assisting me or my colleagues in informing the Congress members as to the criminal nature of manipulation and interference with the legislative activities of the US Congress. No [she did not have advance knowledge of the other attendees], except for those people who had come with me and the person I was going to (Trump, Jr.), I did not have the slightest idea that someone else would be present at the meeting. No. I did not meet with the “Trump campaign”. At the meeting with Donald Trump, Jr. I had a reference in my own handwriting (see Exhibit 1.1), which I was ready to leave to Mr. Trump, Jr., should he need it. But to offer or provide this information was pointless, because as I understood during the meeting, Mr. Trump, Jr. was not at all aware of my request and could not help me at all. Having done that, Veselnitskaya is in a position to deny knowing certain things: any involvement in tampering with the election and any tie to the Fusion dossier. With that frame, here’s how Veselnitskaya explains the genesis of her meeting. I had never asked anyone for a meeting with the Trump team. Nor did I ask to organize namely a meeting with Donald Trump, Jr., it was enough for me to hand over a reference outlining the request (see Exhibit 1.1). Around the end of May 2016, during a conversation with a good acquaintance of mine, being my client, Aras Agalarov on a topic that was not related to the United States, I shared the story faced when defending another client, Denis Katsyv, about how terribly misled the US Congress had been by the tax defrauder William Browder, convicted in Russia, who, through his lobbyists and his close-minded rank-and-file Congress staffers, succeeded in adopting the Act in the name of a person whom Browder practically hardly ever knew. I considered it my duty to inform the Congress people about it and asked Mr. Agalarov if there was any possibility of helping me or my colleagues to do this. 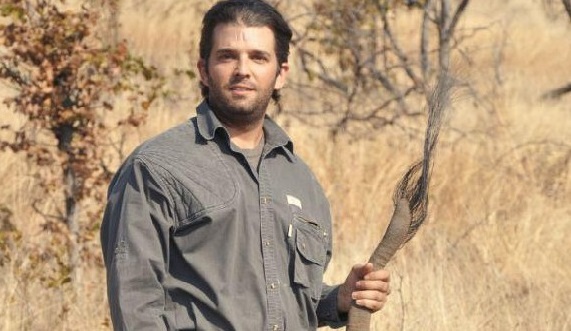 I do not remember who of us was struck by the idea that maybe his son could talk about this with Donald Trump, Jr., who, although a businessman, was sure to have some acquaintances among Congress people. After my conversation with Mr. Agalarov, I prepared a reference in case it would be necessary to hand over the request – to support the hearings in the Subcommittee in the US House Committee on Foreign Affairs as to the Magnitsky’s and Browder’s story, scheduled for mid-June. I was ready to hand over the reference, talk on the phone, or meet personally. Note, later in her answers, she claims to guard client confidentiality closely, even beyond things covered by privilege. But here, she claims to have discussed Katsyv’s plight with Agalarov. And even though Aras Agalarov was crucial to organizing this meeting, Veselnitskaya claims to have no knowledge of any other involvement he had (which is something Balber has been trying to reinforce throughout). All I know is that Aras Agalarov asked his son Emin Agalarov to enquire if Donald Trump, Jr. could help with my request. I am not aware of any further actions of Emin. In the passage above, note how she obscures whether the Magnitsky/Ziff document released publicly (a report Putin parroted on October 19) got written in advance for the meeting or to lobby Congress with. Curiously, in this day of digital creation, she claims she doesn’t know precisely what day she drafted it (even thought the publicly released copy is dated May 31 on the Russian version). That claim is critical given that — in a previous Scott Balber installment — the preexistence of this document involved an exchange between Veselnitskaya and the Prosecutor General, Yuri Chaika, offered up to explain why Rob Goldstone told Don Jr she had a tie to the Crown Prosecutor. She denies he had any involvement in the meeting and in he descriptions of involvement with him doesn’t describe the report. I have no relationship with Mr. Chaika, his representatives, and institutions, other than those related to my professional functions of a lawyer. As a lawyer of Denis Katsyv, since 2013 I have sent several appeals to the Russian Federation General Prosecutor’s Office requesting documents within my legal powers, and also filed applications to verify the information about Mr. Browder’s activities in Russia that resulted in the wrongful seizure of my client’s assets in the USA and Switzerland, received answers, analyzed them and addressed them anew, should I be refused answers or provision of documents – I appealed to the court. That’s important because she can offer no explanation for the reference, in Rob Goldstone’s email to Don Jr, to the Crown Prosecutor. I do not know what Mr. Goldstone was talking about. Given what I know, I can assume that Mr. Agalarov might tell him a little about me, mentioning that I had previously worked in the prosecutor’s office, and the information I wanted to tell in the US Congress had also been reported by me before to the General Prosecutor’s Office of Russia and it was confirmed there. Having compiled this, the musical producer (as I learnt more than a year later) could either confuse everything, or intentionally make everything look intriguing so that the meeting could take place. Another timing detail, Veselnitskaya denies remembering when she learned the meeting for which she claims to have made handouts would be a meeting, though she claims it was after she arrived in the US. I do not remember from whom and at what time I first heard that I could personally express my request (see Exhibit 1.1) during at the meeting. I do not remember the moment when I first heard that I could personally make my request during a meeting. Nor do I exactly remember who told me about it. But upon arrival in New York in the evening of June 8, 2016, in my e-mail box I found a letter from a certain Goldstone, who notified me of the time and place of the meeting with Donald Trump, Jr. In this correspondence Aras Agalarov’s colleague, Irakli Kaveladze, who had been living in the United States for a long time and to whom I left my mail for contacts, was mentioned in the copy. I do not remember discussing it with anyone before I found out that there would be a meeting. This was an alternative way of communicating the request and I did not insist on a meeting. The day I was told that I would be met by Trump, Jr. (everything that I was able to restore in my memory, confirmed by mail from Goldstone – this could take place when I was already in New York), I informed Denis Katsyv about this. This description raises real questions about Ike Kaveladze. Here’s the email Veselnitskaya said she received when she landed; note that, as publicly released, the reference to Kaveladze has been hidden, though it may be what the reference to “both” is. Note, the shift of the meeting from 3 to 4 is also not included in the email chain; Goldstone learned the change needed to be made by 10:34AM on June 8. The apparently obscured reference to Kaveladze is particularly interesting given how she describes inviting Samochernov to attend as her translator on the morning of the meeting. On the day of the meeting – June 9, I asked my interpreter – Anatoly Samochernov, and my colleague who had previously worked on the Prevezon Case – Rinat Akhmetshin, who was also a registered lobbyist for the Human Rights Accountability Global Initiative Foundation (HRAGI), and dealt with issues on behalf of the Foundation in the US Congress, which I planned to talk about at the meeting with Donald Trump, Jr. Both are US citizens. I informed Goldstone about them on June 9, which is confirmed by my correspondence. Akhmetshin was reportedly in NYC for a theater production, but she apparently learned he’d be in town by 9:24. Rinat Akhmetshin, who arrived that day in New York for an evening performance of Russian theatre stars. Her description of Kaveladze’s role (remember, he’s represented by Balber) is particularly curious, in that she admits he was ostensibly there to serve as translator, which was unneeded since she had brought her own. [She and Kaveladze] got acquainted first by phone when I was in Moscow. I met him personally first on June 9 shortly before the meeting. I can suppose, he attended the meeting as a translator, however, as I was with a translator he was just sitting and listening. The curious silences about Kaveladze are all the more interesting given that, unlike Veselnitskaya, he knew that Manafort and Kushner would be there and that dirt on Hillary would be dealt. And based on that description, he flew to NYC from LA. Curiously, Veselnitskaya says neither Paul Manafort nor Jared Kushner were introduced at the meeting. Laying all this out, it’s not so much that it doesn’t make sense (though there are clear gaps). I’m wondering about the “dirt” that Hillary had gotten money from Russia…. And if I recall correctly, wasn’t Ike the last person to be identified by name in the media? Almost as if they didn’t really want us to know he was there…. Don Jr. individually helping her to “inform Congress….” Chutzpah redefined. Don Jr is a well-known mover and shaker and general man-about-town, before whom scholars, pretty women and titans crawl. A veritable Robert Maxwell or Rupert Murdoch. (I could be wrong about that.) Regardless, his value as an intermediary with Congress – either in general or in connection with any specific lobbying campaign – is nil. That parrot is dead. It is no more. It has met its maker. His only value outside of a small circle of family, friends and business acquaintances is as an adjunct to his father’s political campaign. I would say that Russian spy schools teach lying better than the CIA. Maybe that’s the Philby effect. My operative theory is that 1) Balber did in fact roll out a limited hangout in June-July, which is what the July 11 stories were about. 2) The plan was to use Akhmetshin (a known once of former spy, and a researcher for Fusion to boot) to distract from Kaveladze (someone through whom ties to Putin go more directly). I also think they’re lying about what was done at the meeting, and used Veselnitskaya’s report, which she did for Congress, as their excuse for what the dirt was. Right. The 2015 bid for a hotel was supposed to be with someone else. But imagine if that was just a front for Agalarov? You’d have Goldstone offering a meeting with Putin in July, then Felix trying to set up a Putin meeting in November, and then a repeated dance around a meeting between Trump and Putin. oh, my stars and whiskers (as uncle wiggly used to say). what a great mystery tale this is turning out to be. i read, but lost the source, that in 2000 kevaladze was a key person, as naturalized russian-american, investigated by gao in russian money laundering scheme in the u. s. banks. is bergen county new jersey? or to put it differently, do the agarlov’s actually have mansions in the u. s.? wonder if they ever use them. couldn’t be that far from trump bedminster golf course, right? it’s new jersey, a small state. This. Sadly, Russian phonetic translations end up in variable English spelling and for some reason this throws things beyond a certain age outside of search windows. Spelling here is “Kavaladze”. my thought was this paragraph tied together a motive to get rid of ukraine sanctions with ostensive purpose/formal agenda of meeting magnitsky sanctions, with a means to exchange money (supposedly for devel ops) between trump organization (read campaign) and agarlov crocus corp (read russian gov). one implication of this follow-the-money view might be that those commonly accepted media stories that putin had it in for clinton or that putin was mad about panama papers might be cover stories for media consumption. the reality might have been that “resurrect the russian economy” on the part of the russians, and “get computer help and/or money” on the part of the trump campaign was the deal that got done. ukraine sanctions also affected wester firms like exxon. tillerson appointment? I very much agree with this view. Certainly Putin et al have their personal likes and dislikes, but these are people who came up in the “great game” era of the KGB. Individual leaders are important only insofar as they set agendas that affect Russia’s ability to punch above its weight on a regional and global level. In other words, Hillary who? Hotels are great venues for money laundering, apart from any revenue they might produce as a hotel. They are also good venues for patrons to distribute wealth to their networks. General and specialist construction contracts and subcontracts, employment and union abuse or busting, materials and supply contracts (concrete, steel, glass, finishings, wiring and telecoms, plumbing, hvac, security, promotions), transportation contracts, ancillary contracts such as access road and rail connections, cleaning and catering services, banking and finance contracts for all of the above, and so on. Each of those businesses, in addition to revenues and profits from the business, can be used to launder money and to support related projects: casinos, real estate development, airports and rail stations, conference and tourist promotions. The one ring that in the darkness seems to bind all these and Trump and many of his Russian contacts, including Putin, is money laundering. Is there some aspect of laundering that involves Trump? Does it relate to whether Russian oligarchs (ultimately meaning Putin) control Trump’s access to financing and, hence, heavily influence his businesses and his conduct [sic] as president? i really appreciate comments like this where i can learn a lot in a concise presentation. there are few other commenters who discuss the details of u. s. /international business dealings and finance. One of the ways to launder money with a hotel is to manipulate room occupancy rates, typically to inflate them to explain fraudulently high revenue. Consistently high revenues would also justify a much higher selling price a few years down the road, which yields another way to launder money when the buyer is a hidden but related entity to the group that owned the hotel. This could be done once or several times. Cooperative accountants and lawyers are always a plus. Some resort properties in locations with friendly governments that look the other way might be empty for years but show very high construction, financing and operating costs, high occupancy rates and revenues, and high eventual selling prices. Depending on how many pieces of the puzzle are owned or controlled by the laundering entity, the variations are endless. That such things go on – like the need to pay off the local mob, union boss, politician, cop, tax man or inspector – would be well known, if not practiced, by anyone who’d been in the business in a big way for decades. I imagine someone in the business for decades, whose daddy was also in the business for decades would have not only an innate sense of this, but a worldview based on this as normal. Like a fish has an innate sense for water. Hmmm….. the real purpose of surge pricing? interesting, thanks E.
Thanks. One ring indeed. It will also be interesting to see how this integrates with the cryptocurrency explosion. My sense is that there are quite a few GPU-jockeys whose crypto mining rigs are vastly overperforming. Very interesting to identify luxury hotels and resorts taking in an unusually high amount of bitcoin. Helps to have gambling onsite, for sure. We have our own traitor named Don the Con. Thank you. This is brilliant. Simply needs updating to cryptocurrency, and it nails what’s driving the current surge in Bitcoin et al. Bitcoin will crash. It has a design flaw. It does not scale. Last I checked, the cost per transaction was around $20. It used to be acceptable. As the cost per transaction keeps increasing, it loses it’s utility. Useless for a simple $10 transaction. The original purpose was to reduce transaction costs and reduce middleman costs. I see no way that it will not crash. Note: I am not implying that all cryptocurrencies will crash. Just pointing out that Bitcoin almost certainly has to at some point because of the design flaw that prevents it from scaling and keeping the transaction cost minimal. You may well hate this, but I agree with you. But would like to add that the supposed invulnerability of Bitcoin is a joke. It has been broken, and has been for a while. So the entire premise is a bit off at this point. I agree with this; the crash is coming. Regardless, the cryptos are a perfect venue for money laundering through resorts and gambling with plausible deniability, particularly given that few real people carry fat stacks of cash on vacation. I doubt money laundering types care about the pending Bitcoin correction. I imagine they’re pretty well hedged. I wonder if Mar-A-Lago really has great looking books since 1985 when Trump bought it. 30+ years of books could be interesting. Curious if he bought from US government directly at that time or was there an intermediate owner. Le Carre is often spot on in his critiques of government, corporations, and in particular, their “human resources” departments. Yet, he is far more restrained than Chomsky. It is one reason the MSM so often gives him only qualified praise. His happy endings are few and far between, which is also too close to reality for the MSM. I’ll take Chomsky, Chemerinsky, Carey, H-J Chang, Zinn and Le Carre any day of the week and twice on Sundays. more on trump moscow building plans first discussed with a. agslarov in nov 2013 with immediate willing help from sberbankb. this followed 2013 miss univ contedt in moscow. elsewhere in the article scott s. balber is noted as attorney for “the agalarov’s”. Irakly “Ike” Kaveladze, who works for the Agalarov family in the U.S., also attended, along with a translator, Anatoli Samochornov, who had done work for the State Department and had translated previously for Veselnitskaya. “… WASHINGTON — A representative of the Russian developer who partnered with President Donald Trump to bring the Miss Universe pageant to Moscow was the eighth person at a Trump Tower meeting arranged by Donald Trump Jr. during the campaign, a lawyer for the developer said Tuesday. Billionaires don’t usually take meetings with other billionaires just to measure each other’s anatomy. Nor do their staffs. That’s true of a lot of people. It’s certainly true of the front-runner hoping to be the GOP’s nominee for president. If there was a meeting, both sides had their agendas; they might even have overlapped. But there were hard agendas. One question is whether either of their agendas was furthered by the meeting. what veslnitskya says is – what? kaveladze” helped arrange the meeting”. but he is identified by v. as a lawyer, which he’s not. if vaselnitskya is close to (good friends with) aras agalerov, which she makes clear elsewhere she is, why would she think his american-russian crocus v-p was a lawyer? was v. just confused about k’s profession? or was there a 9th person in that meeting? was scott balber at or physically close to that june meeting? getting tired so i want to finish this up – may be a bit sloppy. why was scott balber involved in this manipulation of possible testimony by meeting participants? he moved to this firm in, i believe, 2012 from another. – in 2000 balber represented kaveladze in a general accounting office investigation of money laundering by american banks including citibanks. k. was not charged. focus of congess was on u. s. bank’s behavior. k., a naturalized russian-american had set up 2000 dummy bank accounts in states like delaware. – in 2012 balber represented trump in what was clearly a slapp suit gainst comedian bill mahrer. how did trump and balber meet up? – i take it that balber is an attorney for the agaralov’s, particularly, and the crocus corp generally. why do agaralov’s want/need an american white collar criminal defense lawyer? was his selection based on k’s earlier experience? – how did balber ever get involved with trump in the mahrer slapp suit? i would think most lawyers would avoid that kind of misuse of law for fear of judicial retribution. – did trump select balber rather than agaralov’s selecting him? – given he wrote or edited (in 2027) don jr’s statement about the june 9, 2016 trump tower meeting, is it prez who has been directing balber and for whom balber has been pre-cleaning discovery depositions? acknowledge the voting power of others than underclass whites. i am personally curious (nosy, actually) about the reason irkaly kavelsdze and scott s. balber happened to be associated with the june 2016 meeting in trump tower thru association with aras agaralov and his the crocus corporation. – ike kaveladze. kaveladze, a russian born naturalized american who immigrated after communism ended in ussr, first turns up publicly in the u. s. in 2000 when the gao investigated money laundering by citibank and others that had been permitted by banking rules. k. set up hundreds of credit card accounts in states like delaware apparently as means to money laundering. k. ‘s experience there did not hurt his job prospects because in 2004 he joined agaralov’s crocus corp. eventually becoming a v-p. but k. does not live or work in russia. he lives in california. so what does k. do for agaralov? well, it may be guessed that k. has a head for finance or for real estate deals. billionaires like agaralov like to protect their money and, worldwide, they invest in u. s. real estate.not only is k. a crocus corp exec, but he is obviously a very trusted one. that is the inference from the fact that, according to vaselnitskya and balber, he was asked by agaralov to set up the trump tower meeting because he knew trump or some of his family. – scott s. balber. balber is an american lawyer specializing in defending white collar crime, gov’t investigations, and corporate fraud. balber seems to be agaralov’s lawyer. has balber had a long-time legal retainer deal with agaralov and crocus corp? or was he hired to deal with trump tower fallout? if long time, why this type of lawyer? i would think an active developer would be more interested in zoning rules, environmental rules, sewage, etc. why criminal white collar crime? on the other hand, a foreigner doing “risky” investing in the u.s. might wish to have a balber on hand. how did balber and agarolov meet up? thru kaveladze and k.’s 2000 gao going over? by the way, who paid balber’ s fees to represent kaveladze? balber also represented trump in a 2012 slapp suit against a tv comedian. did trump introduce the two? or did trump ask agalarov to hire balber? in 2012 balber left his old firm to become head of a litigation section in a new law firm. head of the section or not, balber has been flying back and forth across the world trying to pre-clean discovery testimony among participants in the june 2016 trump tower meeting. it is pretty clear this is a big deal from balber and his law firm, else he might have had a subordinate do some of that flying. and why so much flying to so many places? i guess that would be to avoid phone and email surveillance and traces. with respect to balber, the final question is the first: why a white collar defense lawyer with exoerience in gov investigations? forgot one of my principal curiosities. just how did crocus v-p kaveladze end up knowing donald trump or his family, if that was the case? did trump and aras agalarov do any business in the u. s., say on real property purchases? so who said what to who in the june 9, 2016 trump tower meeting. divide the 8 into two groups- western europeans and slavs. slavs: n. veselnitskaya, somochorov, rinat akmeteshin, irakly kaveladze. goldstone, publicist for emin agaralov, contacted don jr whom he knew personally to request a merting. this is the alibi for calling the meeting (favor for a friend). natalia vaselnitskaya, lawyer for prevezon corp and organizer of a group opposed to magnitsky sanctions and attendant cutting of of russian adoptions in u. s. v. presented some info to the other 7 about the adoptions. magnitsky act sanctions. this the the alibi for what was actually discussed in the meeting. in her dec 14 post ew lists multiple efforts agaralov attorney scott balber made to get the alibi stories straight. balber spent a lot of time with vaslnitskaya and goldstone. because they are the coveting alibis, those stories must be solid. i’ll assume goldstone and veselnitskaya are bit players who were used. i assume they had no other message to deliver than their two cover stories. i assume the translator somorrochow is just that. he works with u. s. state dept sometimes and international orgs. i don’t see him engaged in campaign hankypanky. so for the euros – don, jr. kushner, and manafort were available to listen or negotiate. manafort was described as inattentive but i think he has a rep as a fanatical notetaker. for the slavs, that leaves rinat akmetshin and ike kaveladze. akmetshin has a connection with v. thru her legal work for the prevezon company regarding a u. s. gov lawsuit. akmetshin also has a connection with glenn simpson (fusion) thru that same channel. kaveladze works for aras agaralov’s crocus corp as a v-p. he lives in california (but he met lawyer scott balber in russia to compare notes). so which of these two guys, if either one, provided info to don, jr. et al., or negotiated with don jr about quid pro quo? what would they have provided or promised – an early heads up on russian leaks of dem party documents? computer-based attacks on dem partisans? computer support for trump voters? it wasn’t a long meeting we’re told, so whatever happened, happened fairly concisely. what, if anything, did trump, et al promise in return? was this meeting the beginning of the trump focuus on better relations with russian and on using flynn and sessions to meet/deal with russkies about sanctions removal? This is really old ground about Trump’s connections to Sater and the Russian mafia/oligarchs, all of whom together with the locals and Feds are notorious for behaving badly. When it comes to hacking US targets there is a shortage of US failure to launch talent working in their mother’s basement. People go to jail in the US. It’s subcontracted out to Israel, UK, Russia, where ever. As alluded to Ike’s two thousand Citibank accounts though would be connected to foreign hacking of US targets for that is/was one route the theft money is routed/laundered. Most places one cannot use a any/stolen credit card to buy a gift card anymore. Maybe the dossier’s pensioner’s deposits payoff was a joke or code. p. s. congress was interested in the bank rules, not kaveladze. it tightened them up.